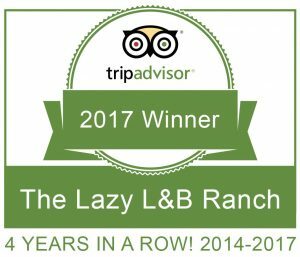 The Lazy L&B employs a seasonal staff of 16 from late May through mid September. Some of our staff came to the ranch as children with their families and returned to work with us because they loved it so much. Many of our staff return year after year for the same reason. We offer a summer of working hard, meeting new people, seeing amazing country, living like a family and having fun. If you are interested in working with us, please e-mail us a copy of your resume with references to [email protected] or call 1-800-453-9488. We do not have an application. The Head Wrangler oversees and motivates a team of 6 wranglers to ensure the safety and well-being of the ranch animals and our guests. This includes the implementation of our horse safety program, maintaining equipment and tack, maintenance and cleanliness of the corrals, petting zoo, tack rooms, ranch vehicles and fencing. Responsible for guest relations as they pertain to the riding program. This includes the assignment of horses to guests based on information provided in the guests riding form, presentation of our safety demonstration, coordinating the riding groups and speaking to guests prior to each scheduled ride. Additionally the Head Wrangler has the same responsibilities as the rest of the wranglers. CPR and First Aid training is required. Prior experience is essential. 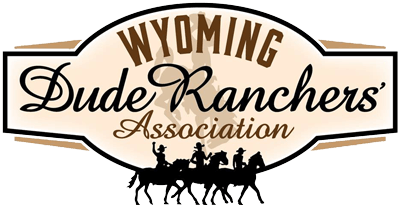 Responsible for the safety of guests and horses; expected to guide and teach while on the trail; take care of horses and equipment; learn and understand horse program, barn and corral operations; handle and complete other miscellaneous ranch jobs ie: children’s activities, kitchen duties. Expect excellent people and communication skills, willingness to work long hours, able to work as a team to provide a memorable guest experience. Responsible for the preparation, presentation and delivery of breakfast, lunch and dinners. Maintaining a clean and organized kitchen and prep areas. With the assistance from the other kitchen and dining staff, mopping, cleaning, maintaining and organizing all coolers, freezers and dry storage areas on a regular basis. Responsible for ordering of all food and beverage related supplies and chemicals necessary for kitchen and house keeping. Responsible for checking in all orders. Assisting in any other duties deemed necessary by management. Dining room duties include waiting tables, table preparation, meal set-up and tear down, serving at buffets, BBQs and picnics. Kitchen duties include cleaning of dining room/kitchen areas, dish washing and other various kitchen chores. Expected to assist/support cook with food preparation. Assist with other miscellaneous ranch jobs, as need arises. General maintenance and ranch upkeep including responsibility of pool, irrigation work, fencing, painting, small carpentry jobs, mowing and watering lawns. Assist with other miscellaneous ranch jobs as needed. Responsible for the daily cleaning of guest cabins, lodge, guest/pool restrooms as well as laundry/linen up- keep. Assisting in running the ranch store. 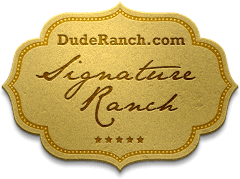 Expected to handle and complete other ranch jobs as needed, dining help, children’s activities.